Federal prosecutors have asked a judge to allow the mastermind of the 2013 George Washington Bridge lane-closing scheme to avoid prison when he is sentenced Wednesday because his testimony helped convict two former aides to Republican Gov. Chris Christie. Under a plea agreement, David Wildstein faces 21 to 27 months in prison for orchestrating a scheme to create gridlock near the bridge to retaliate against a Democratic mayor who declined to endorse Christie's re-election bid. In a letter to the judge last week that was published Tuesday, the U.S. attorney's office praised Wildstein for providing "timely, complete and truthful information and testimony" about the scheme. Wildstein's testimony helped convict former Christie staffer Bridget Kelly and Wildstein's former supervisor, former Port Authority of New York and New Jersey executive Bill Baroni. Wildstein testified he used his position at the Port Authority to lead a scheme to close lanes to punish Fort Lee Mayor Mark Sokolich. Kelly and Baroni were sentenced to 18 and 24 months in prison, respectively, in March. Both have appealed their convictions. 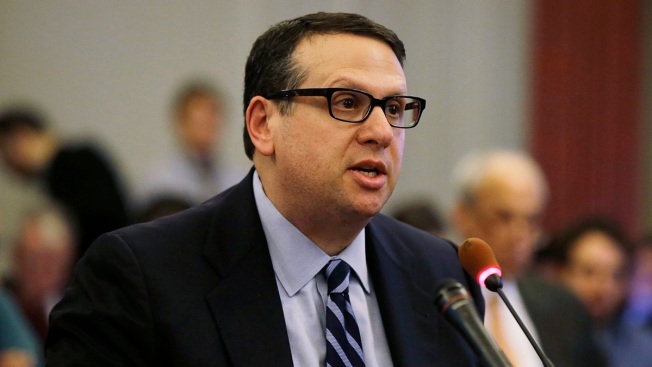 "Were it not for Wildstein's decision to cooperate and disclose the true nature of the lane reductions, there likely would have been no prosecutions related to the Bridge Scheme," prosecutors wrote. Wildstein's sentencing will bring an end to a sordid saga that has left a cloud over Christie's administration and likely torpedoed his presidential aspirations. Christie wasn't charged, but the scandal contributed to his approval rating falling from around 70 percent to 15 percent. Wildstein was a former salesman, blogger and low-level political operative when his former high school classmate, Christie, approved hiring him to a position ostensibly overseeing billions of dollars in infrastructure projects in the New York area. 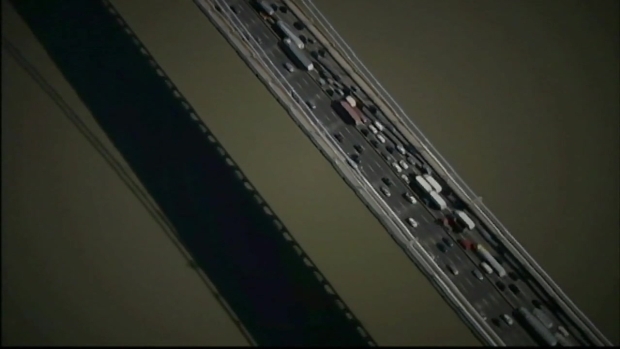 The closing of access lanes to the bridge over four days in September 2013 will go down as one of the more bizarre episodes of political skullduggery in New Jersey, a state where politics has never been for the faint of heart. As revelations about the traffic jams seeped out in the fall and winter of 2013-14, Christie became embroiled in the controversy even though he denied knowledge of the scheme, an assertion contradicted by Wildstein, Baroni and others during the trial. Wildstein testified he and Baroni joked with Christie about traffic problems in Fort Lee while the lane closures were underway. Christie's presidential campaign ended in early 2016 after a poor showing in New Hampshire. Then-candidate Donald Trump said he believed Christie "totally knew" about the bridge plot. Christie was one of Trump's first high-profile endorsers in 2016, but later admitted the scandal was a factor in Trump not choosing him as his running mate. The case also damaged the reputation of the Port Authority, the powerful bistate organization that operates New York-area bridges, ports and airports and employed Wildstein as a director of interstate capital projects, a position created for him. Port Authority executives testified that Wildstein was viewed as carrying out Christie's agenda and that he was "protected" by Christie. Wildstein testified members of the Christie administration used the Port Authority to dole out favors to Democratic politicians whose endorsements they sought. In their letter to the judge last week, prosecutors noted Wildstein produced evidence such as texts and emails that corroborated his account. One of those was Kelly's infamous "Time for some traffic problems in Fort Lee" message to him weeks before the lane closures began. A New Jersey jury found Bill Baroni and Bridget Kelly, two of Chris Christie's closest allies at one time, are found guilty on all counts in George Washington Bridge lane-closure trial. Brian Thompson reports. "Wildstein never attempted to minimize his own role in any of his activities at the Port Authority or actions that he took before he joined the Port Authority, even where his words and deeds did not reflect well on him," prosecutors wrote. Among those deeds was an incident in which he stole the suit jacket of Frank Lautenberg, then a Democratic candidate for the U.S. Senate, minutes before Lautenberg was to debate a Republican candidate whom Wildstein, then in his early 20s, worked for. Asked to explain, Wildstein chalked it up to youthful exuberance.